Welsh National Opera return to Birmingham Hippodrome in March with a triple bill of Mozart's Magic Flute, Verdi's Un ballo in maschera and Donizetti's Roberto Devereux. And the new production of Un ballo in maschera (A Masked Ball) is part of a three-year trilogy of Verdi operas created by Welsh National Opera in conjunction with Theater Bonn which also comprises La forza del destino, which was premiered last spring and Les vêpres siciliennes, which will be performed in the UK next year. Working on the trilogy is internationally renowned costume designer Marie-Jeanne Lecca and she has found plenty of inspiration for this new production of Ball as the story centres around the Swedish King Gustav III and his assassination at a masked ball. Marie-Jeanne explains: "The theatrical element is very prominent in Un ballo in maschera because the king had a real fascination with theatre. King Gustav was a great patron of the arts, theatre and opera particularly. He built the Royal Swedish Opera and he also was assassinated in the opera house." The themes of secrecy and discovery have played into Marie-Jeanne's costumes. 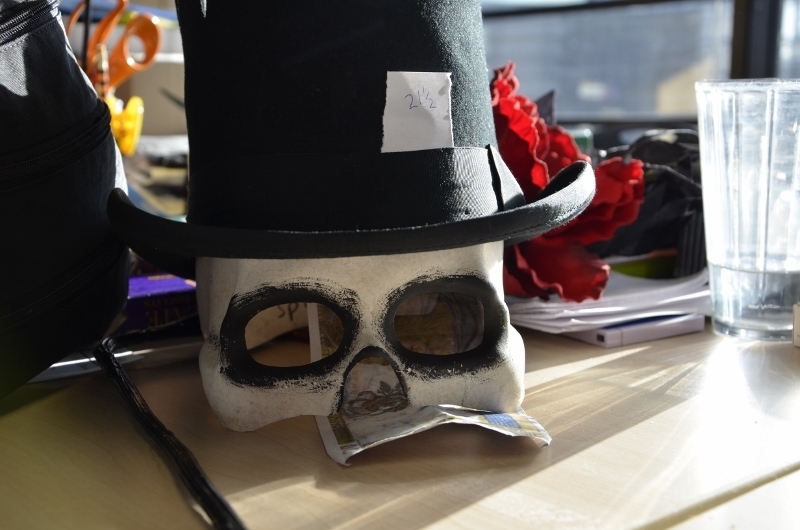 "The idea of a masked ball is a theatrical game and we are joining in. Everybody is masquerading, dressing up and nobody is what they seem to be," Marie-Jeanne says. "In this context I thought of symbols of death, masks, costumes from the Day of the Dead, the darkness of the Goth style. Sometimes it's sinister but sometimes with humour." Designing and creating the costumes for a show on the scale of 'ballo' is a lengthy and detailed task. "Ideally the costume design has to be delivered a year to eight months before the first night," explains, Marie-Jeanne. "First of all you listen to what the director has to say – that's always the starting point. Then you have to do your research and sometimes you produce a mood board if there's the time. Then there's the preliminary drawings and then the final drawings. I am someone who thinks with a pencil so drawing is really important. Not only does it provide information to other members of the artistic team like the director, set designer, the choreographer and the lighting designer but it's also very important for providing information for the workshops as they work from these drawings." 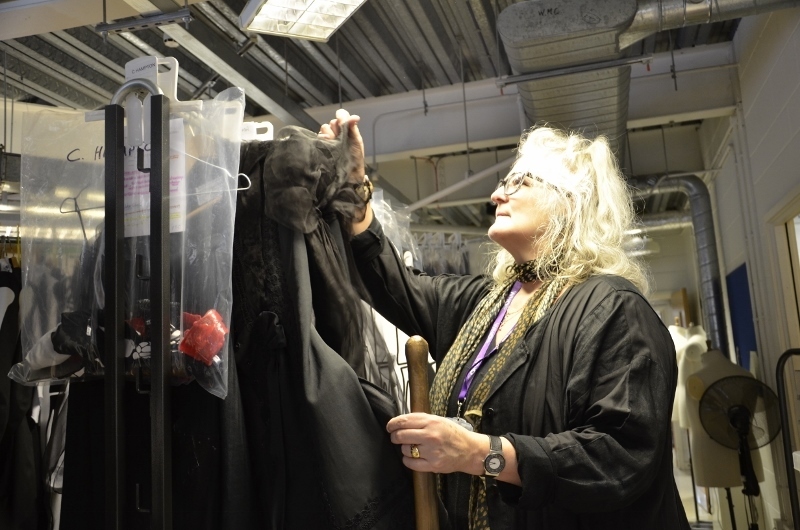 Over the years Marie-Jeanne has built up a strong professional relationship with WNO, designing costumes for shows including last year's production of Prokofiev's War and Peace, Debussy's Pelléas and Mélisande, Rossini's Moses in Egypt and William Tell and Berg's Lulu. "Doing several shows with the same company, like WNO, you see the process of knowing each other and trusting each other gradually develop and you enjoy the benefits of it. At WNO we now know each other and know what to expect from each other. The costume team are real professionals. When I work with WNO now I have the feeling of coming home, which is a very special feeling." Of all the art forms, Marie-Jeanne has a special place in her heart for opera. "Why opera? It's about music and drama, the scale of the productions, the range of styles and periods, the joy of designing costumes and not just buying a trench coat," she says. "You can actually design costumes not necessarily only clothes. And last but not least the music helps enormously to create images in one's mind."